1l. brown with vertically laid background in used pair on fragment. Very fine and rare. 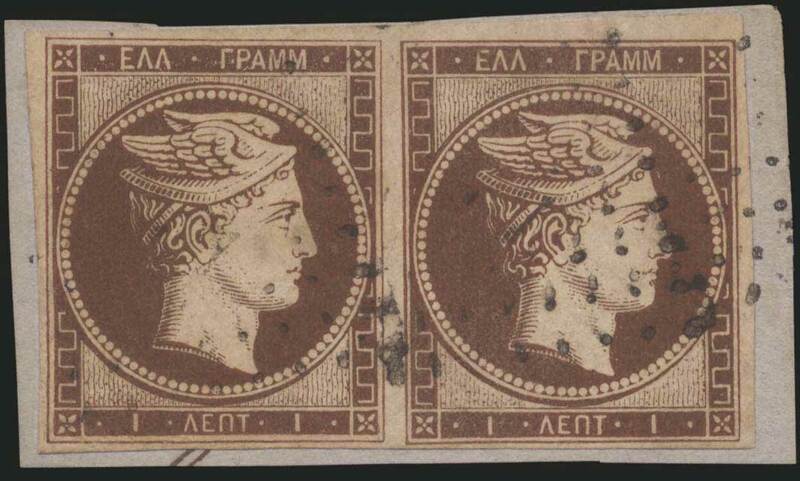 (Hellas 1a, note 1-1620 Euros).